Football fans are flocking to Brazil for the World Cup, with new data today revealing that the number of hotel bookings over the World Cup period has nearly doubled compared to the same time last year. The data also shows that the average nightly rate for accommodation in the same time period has increased by 45 per cent from $US149.6 in 2013 to $US217 in 2014. 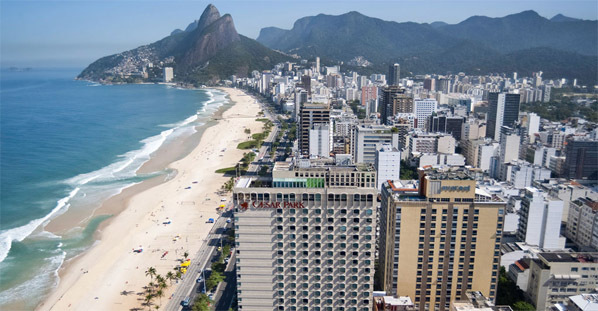 Where the teams choose to stay during the World Cup can be an indicator of potential success, with some accommodations focused on preparation and others simply offering the best of the Brazilian weather and beaches. Staying on the outskirts of Rio, the English World Cup team has opted for five-star accommodation at the Royal Tulip Hotel. This beachside resort offers beach views from all rooms and is most regularly used by those looking for a relaxing break. Should they suffer an early exit; the English team will be able to enjoy use of the pool, sauna and hotel salon. Catering for over 3,000 guests, there is also two gourmet restaurants and a bar onsite. The Dutch team has also selected a hotel close to the sea, with the Caesar Park Hotel sitting on Rio’s most popular beach, Ipanema. The hotel features both swimming pools and a fitness centre, but traditionally guests are more likely to be found on the beach or making the most of boat excursions and Jet Ski hire. The team will enjoy the excellent location of this luxury five star hotel, close to shopping and nightlife and will be able to make full use of the massage and restaurant facilities. 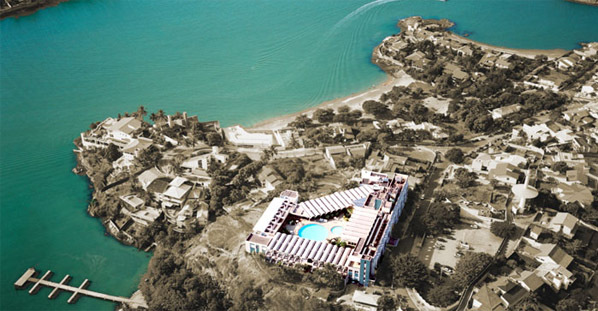 The Italian team will stay at the Portobello Resort, on the outskirts of Rio. As well as two full size training pitches, the Azzurri will have a floodlit volleyball court and six tennis courts to ensure that the players keep active between matches. 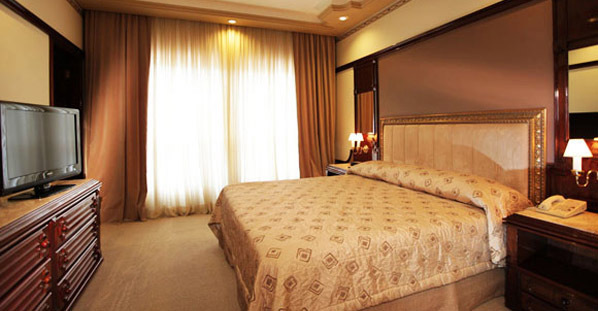 At 3.5 stars the accommodation offers comfortable rooms and an on-site restaurant. Set on its own private beach, guests can enjoy sea views, with some of the rooms offering direct beach access. 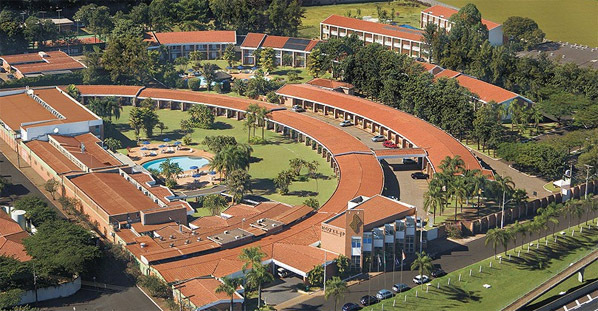 The South Korean team have chosen a more private location, staying at the five-star Bourbon Hotel Cataratas located on the borders of Brazil, Argentina and Paraguay. The hotel is surrounded by lush, tropical gardens and includes two swimming pools a tennis court and a day spa. There is a restaurant and bar at the facility and the team won’t have to venture too far, with shops and boutique stores in the area. Located just ten minutes from the centre of Sao Paulo, the American side has also opted for a peaceful getaway. 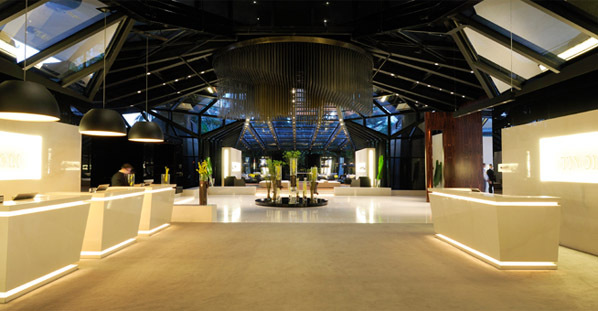 Based in five-star accommodation at the Tivoli in Sao Paulo, their hotel is set in a lush garden estate and has spacious rooms with modern fittings. The hotel boasts the largest presidential suite in Latin America and the team will be sure to recover at the hotel spa before enjoying the fine food at the luxury restaurant onsite. The French team has chosen to stay at JP Hotel, a five star luxury resort which offers an onsite football pitch for training. The team could be a force to be reckoned with, as the hotel also offers three pools, a fitness centre as well as tennis and beach volleyball options, ensuring that the team will be in top form. 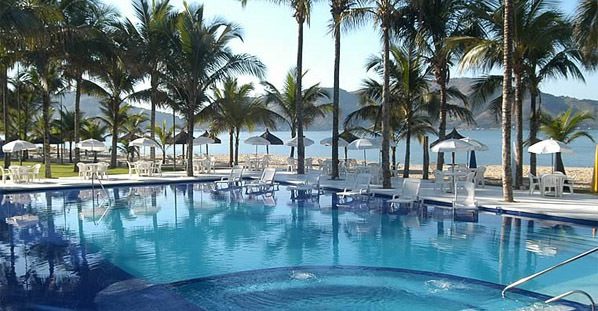 The Australian team will be staying at the beautiful Hotel Ilha do Boi, for the duration of the 2014 World Cup. The hotel is set on an island off the eastern coast of Brazil and boasts beautiful sunsets, relaxing ocean breezes and a piano bar. With a workout room, pool and tennis court onsite, the team will be able to concentrate on their World Cup efforts in a quiet and relaxing environment. Original research was carried out for this article by HotelsCombined. To watch the official video outlining where these teams are staying, follow the link.